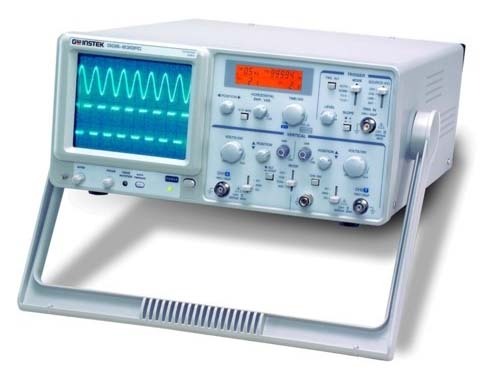 The oscilloscope is probably the most versatile and useful single instrument invented for electrical measurement work. It displays two dimensional graph of a signal. SP—e the oscilloscope uses no moving parts, it can handle signals thousands of tames faster than can mechanical plotters, recorders or meters. 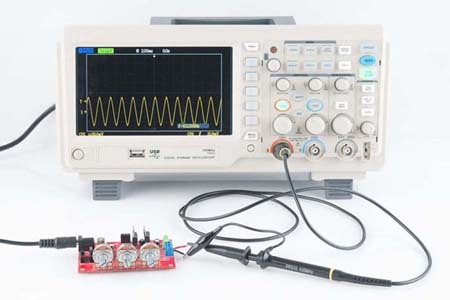 Oscilloscope not only displays the voltage signals but other electrical and non electrical parameters can also be displayed using transducers. 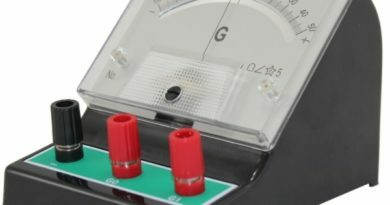 Transducers convert the physical phenomenon of interest into a physical quantity to a proportional voltage signal. This voltage signal represents the physical quantity of our interest. There are transducers for current, power, pressure, acceleration, temperature, displacement, strain, light and other physical quantities. This makes the oscilloscope a very useful tool in the field other than electronics. This phenomenon was discovered by Thomas Edison in 1883 during his experiment on electric light bulbs. The librations of electrons from a hot surface is called thennionic emission. In oscilloscope a metal called cathode is heated to make the electrons to emit. (a) It would be attracted towards a positive plate. (b) It would be repelled from a negative plate. In this way in an oscilloscope, electron beam emitted from the cathode is deflected with the help of vertical and horizontal deflection & plates. The properly of a phosphor to emit light when its atoms arc excised is called fluorescence. In Oscilloscope electron beam after deflection is made to strike a fluorescent screen. A light is emitted from spot when beam strikes. The human eye retains an image for about 1/16 seconds after seeing it. This property of human eye is called persistence of vision. In an oscilloscope, the spot on the screen is moved so quickly that the path followed by the soot seems a solid line. If the beam moves on the same path at least 16 times in one second, the trace appears to the eye as a stable line. (f) CRT (cathode ray tube). The signal to be observed is fed to oscilloscope’s vertical input. It first passes through a calibrated input attenuator. It adjusts the vertical gain. The attenuator usually has a front-panel multi position switch calibrated in terms of volts/divisions. Then signal is magnified with the help of a vertical amplifier. This has fixed gain and a push-pull output stage which drives the vertical deflection plates with the required deflection voltage. 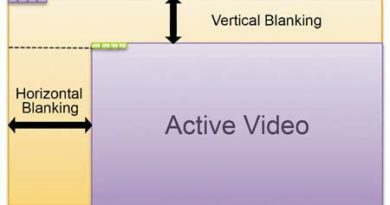 For horizontal movement of beam, a circuit called trigger circuit is used. It initiates the sweep at a particular point in the waveform. It has two principal controls. (i) Trigger level It selects the voltage at which the input signal initiates a sweep. (ii) Slope It determines whether the sweep begins on the positive or negative going slope of waveform. The combined effect of these controls permit the sweep to be triggered at any point in the waveform. It is the internal sweep generator of the oscilloscope. It provides a sawtooth waveform for the horizontal deflection of the trace. -The positive-going ramp of the sawtooth is linear. Slope of this waveform is controlled by lime/division front-panel control. At the beginning of the ramp, the trace is automatically positioned at the left, of the screen. As the ramp voltage increases, the trace moves across the screen from left to right at a constant rate. At the end of the ramp, the trace is blanked and the trace rapidly returns to the left side of the screen and is ready for the next sweep to begin. It is heated with the help of an enclosed filament and it starts emitting electrons. It is also disc or a cylinder with a small hole in its centre. It is kept at a + ve voltage with respect to cathode t6 give acceleration to the electrons which have passed through control grid. Focal point of the electron beam is controlled by adjusting the voltage on the focusing electrode (F) with respect to the accelerating anode. 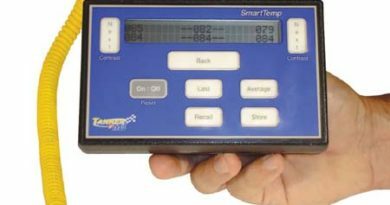 This voltage is adjusted with the help of front-panel FOCUS control. After passing through focusing electrode, the electrons pass through a second accelerating anode. It is biased at the high positive voltage with respect to the cathode. These are two plates. One plate is positively charged while other is negatively charged. The electron is attracted towards the positive plate and is repelled by the negative plate. As a result, electron beam is deflected between these plates. The amount of deflection is directly proportional to the voltage difference between the plates. Vertical amplifier provides this deflection voltage. These plates are same as that of the vertical deflection plates but they control the deflection of beam horizontally. 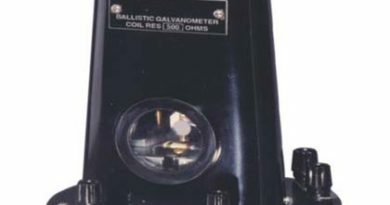 A rectangular grid, called a graticule is placed on the screen of a CRT to provide accurate measurements of signal voltages and time periods. The inside of the conical part of the CRT is coated with a conductive material called aquadag. It provides. (a) Shielding from stray electromagnetic field. (b) Prevents light from striking back of the screen. (c) It gathers any secondary electrons emitted when the high velocity electrons of the beam strike the phosphor.